Saleh Kalantari, PhD, EDAC, is an assistant professor in Cornell University’s Department of Design and Environmental Analysis. He is the director of the Design and Augmented Intelligence Lab (DAIL) at Cornell, where his research group investigates the effects and opportunities of human-technology interactions in design and fabrication. Dr. Kalantari is also the founding principal of Kalantari Studios, a design and research lab producing buildings, installations, and speculative projects of various scales. He previously worked as a research director and designer at Parkin Architects Ltd., where his team won multiple recognitions, including an International Academy for Design and Health (IADH) Award for their work on the Southwest Regional Forensic Mental Health Centre. Dr. Kalantari has also consulted for various firms and organizations in the Middle East, such as Naghsh Khiyal Pars and the Qatar Green Building Council. Dr. Kalantari’s work promotes advanced technologies, innovative design approaches, and new analytical frameworks that can enhance the relationship between people and their created environment. His scholarly research has been published in multiple peer-reviewed journals, including Architectural Engineering and Design Management, Health Environments Research and Design, and Facilities. His installations and artworks have been exhibited widely in forums such as the Texas Wright Gallery and the WSU Fine Art Gallery. He has been an invited panelist, guest lecturer, and keynote speaker at dozens of conferences and institutions across the globe. 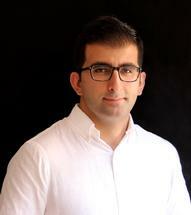 Dr. Kalantari has previously taught at the University of Houston, Washington State University, and Texas A&M University. He has served as an instructor for graduate-level design studios, undergraduate capstone studios, and seminar courses in generative design and fabrication. His students have achieved significant recognition in multiple design competitions at the national level including the Retail Design Institute National Competition and the Renewing Home AIAS Competition. You could find more information about Dr. Kalantari’s research lab, publications (downloadable), and research projects on the DAIL webpage.